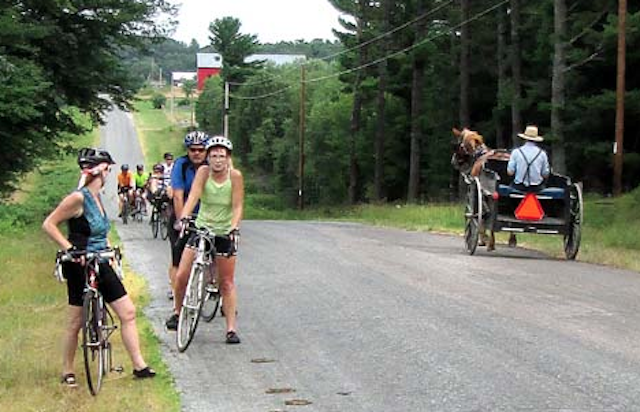 The Stage Coach Bicycle Route is a scenic route that follows along a lightly traveled road and is perfect for a family bicycle outing. The paved route is bordered by beautiful woodland and farmland. The route is available year round and no pass is required for route use. The route travels between Fairchild and Augusta, Wisconsin. 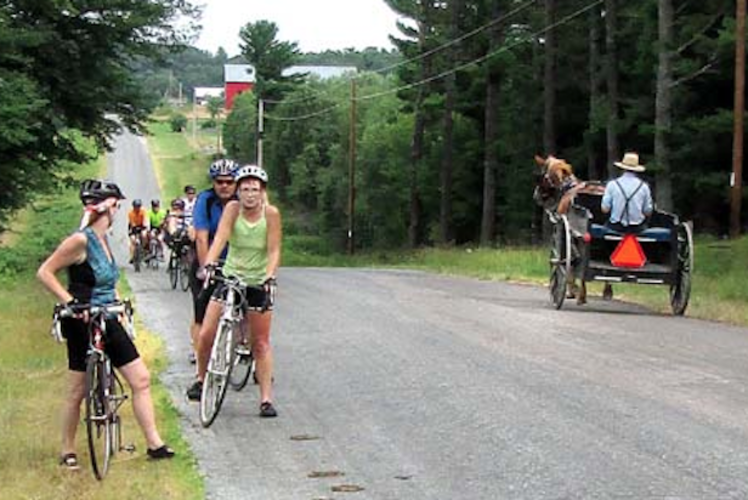 It winds through Amish country with many visible Amish school-houses and sawmills along the way. Distance: Approximately 21 miles round trip with alternate loops. Route Location: The route is located between Fairchild and Augusta, Wisconsin. Both are located just off Highway 12/27. Directions to Trailhead: To begin the trail, go to the Buffalo River State Trail parking lot and picnic area. Take Highway 12/27 to Townline Road. The trailhead is located at the corner of Townline and Front Street in Fairchild. In Augusta, take Highway 12/27 to Stone Street. Parking is located behind The Woodshed at the corner of Stone and Buckman Streets. Points of Interest: Rolling farmland scenery; Amish farms, school houses and sawmills; and Amish crafts, baked goods and furniture available for sale. Difficulty: Mostly easy with a few moderate hills. Caution: Route is moderately used by horse and buggy. Entire route is on public roadways open to shared bicycle/motor vehicle use. Signage: The route is designed for travel in both directions with "You are here" maps at trailhead locations.